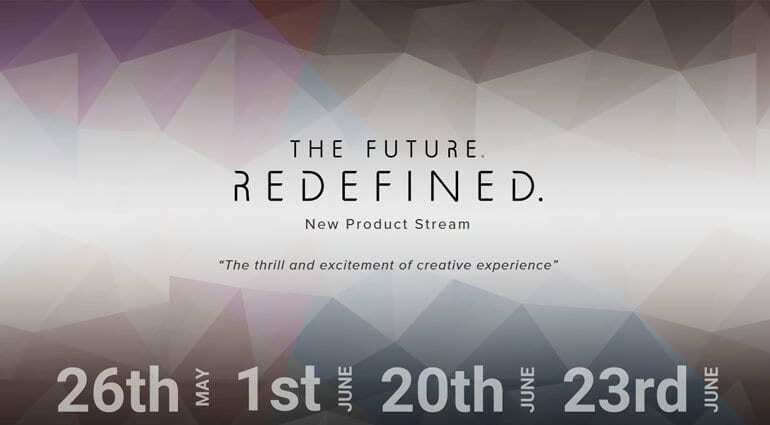 Following on from the fabulous 909 day last year Roland are sticking with their “Future Redefined” tagline for a new product stream. This time they are not going to blow it all on a single day but are spacing out the 14 new products over a few weeks. Starting with the 26th May, this Friday, we have four releases in the “Drums/Percussion” category. On the 1st June we will be treated to two new guitar products and two Pro Video releases. Then we have a breather until the 20th June with two new synthesizers. Then things are rounded off on the 23rd June with four more guitar products. Under the official schedule, there are four Roland associated trade marks which perhaps give us a clue as to what to expect. After Roland, we have Boss, Roland Cloud and V-Moda. Boss are presumably taking care of the six new guitar products. Although there seems to be a group of two guitar products on the 1st June and then four more on the 23rd. Why the different days. Does that say anything about the nature of these products? The other two raise a bit of an eyebrow with me. Roland Cloud are all about online virtual instruments. 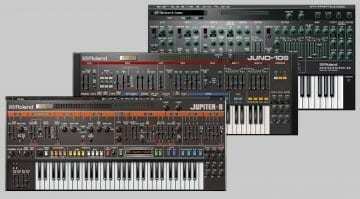 They have fully realised of a range of classic and modern Roland synthesizers into plug-in form. It worries me slightly because there are two new synthesizers on the schedule and the presence of Roland Cloud makes me think that perhaps these will not be hardware. However, other Roland Cloud releases have not had this sort of fanfare. Is it too much of a stretch to think that maybe the Roland Cloud tie-in would be a virtual guitar instrument? Or maybe some Boss pedal or amp modelling? Could a drums and percussion release actually be the long awaited Tera Drums? There are a few possibilities there. V-Moda is a bit more of a mystery. They make headphones, ear buds and little speakers. Perhaps their hottest product at the moment, well, I don’t know if it’s hot but it seems to be being fondled by lots of beautiful women in the marketing, is the REMIX. It’s a little Bluetooth speaker box with weirdly ornate 3D printed ends and legs. Apparently, that’s a world’s first and so is the included headphone amp. How V-Moda have anything to do with the aforementioned releases is really hard to tell. Maybe 3D printing is going to become a thing in Roland product design. Maybe we’ll see some crazy looking guitar amp or a 3D printed Cajon. 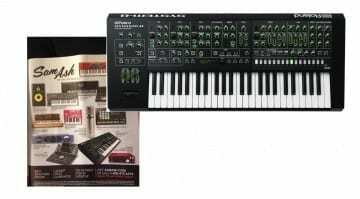 If the synthesizers are hardware then it’s going to be really interesting to see what direction Roland are pulling in. 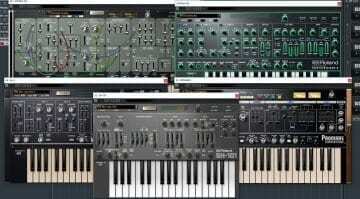 With Behringer cloning all the classics are Roland going to respond with something genuinely awesome, or will it be more of their ACB modelling technology based boutique or AIRA instruments – that seems very likely. Last year we had some leaks over the TB-03 and TB-09. We’ll be keeping our eyes peeled for any indications of what these new products may be. More news as we get it. 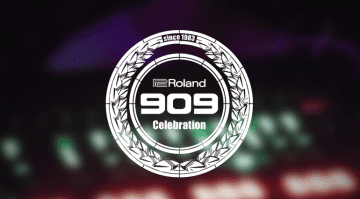 Full Roland schedule here. Roland Leak! The System-8 synthesizer is real. I’m hoping for an updated SPD-SX, which is over 5 years old. More sounds, storage, better pads, more effects, etc.